A NIS 10 billion investment by Intel over the next eight years adds 570 jobs to its massive factory in the southern Israeli town of Kiryat Gat. 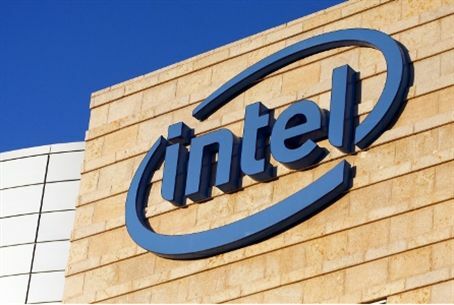 An announcement by the government trumpeting the addition of 570 new jobs at Intel’s chip manufacturing plant in Kiryat Gat has created excitement in the finance sector. The upgrade -- which means an investment of NIS 10 billion ($2.7 billion) in Israel’s economy – will be carried out over an eight-year span, and is slated to begin in 2011. By 2018, the Kiryat Gat plant is expected to number about 3,100 staff members. The project is still subject to final approval from the government’s investment center and the Knesset Finance Committee. Intel's expansion does not come without strings attached: the government has agreed to provide a matching grant to the company, to the tune of NIS 678 million ($187 million), to be disbursed over the same period, albeit reportedly subject to expansion of the company's work force. Intel has also committed itself to adding 50 jobs at its research and development center in Jerusalem. Having begun operations with only five workers in Israel in 1974, today Intel is Israel’s largest private sector employer, according to a statement on its website. The firm employs some 6,600 workers in seven communities. “This investment by Intel is of strategic importance to the strengthening of industry, assurance of production and anchoring Israel as a leading technological country,” the Finance Ministry said in a statement. The company offered jobs in Israel to Americans after buying out a U.S.-based Texas Instruments cable modem products line this summer. All employees at the acquired firm received offers to join Intel at sites in their home countries, including Israel, and were slated to become part of the company’s Digital Home Group. Intel also recently completed construction of the country’s first American LEED-certified green building in Haifa, dubbed Intel Design Center 9 (IDC-9). Although there are several “green buildings” already in the Jewish State, until IDC-9, none had met the LEED standard for ecologically-sound construction.